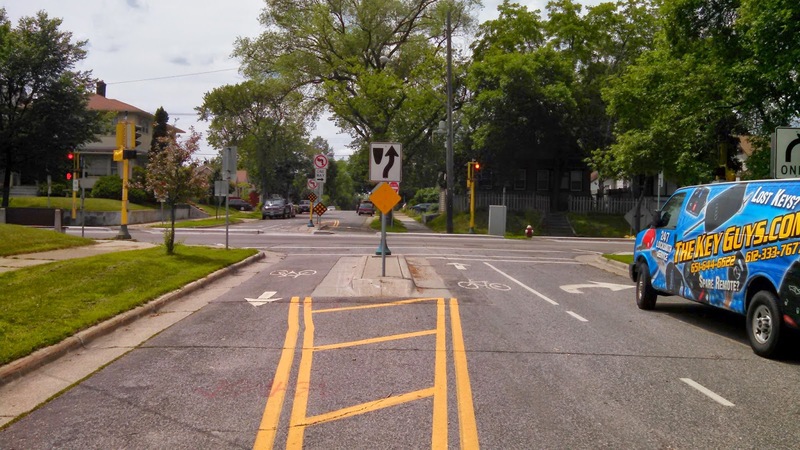 On my quick tour through Minneapolis, I started in the neighborhoods off of the LRT line and was pleasantly surprised when the station that I started at had a Nice Ride docking station. It was a great way to start the day in the low stress environment. 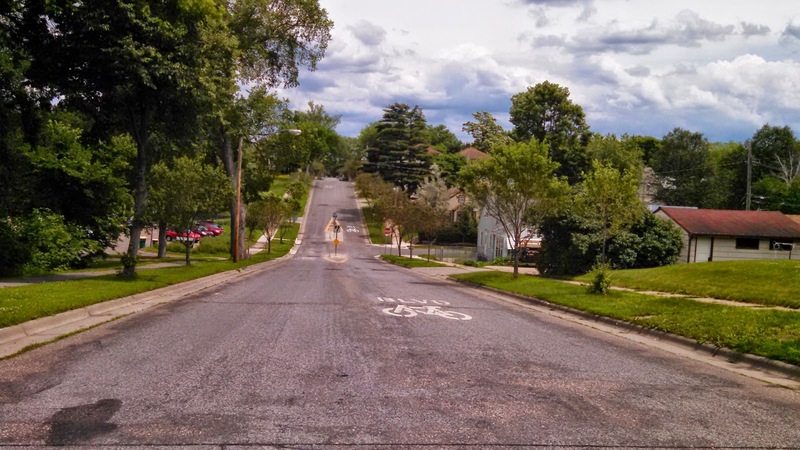 The bicycle boulevards weren't something that I was looking for, but just stumbled upon. 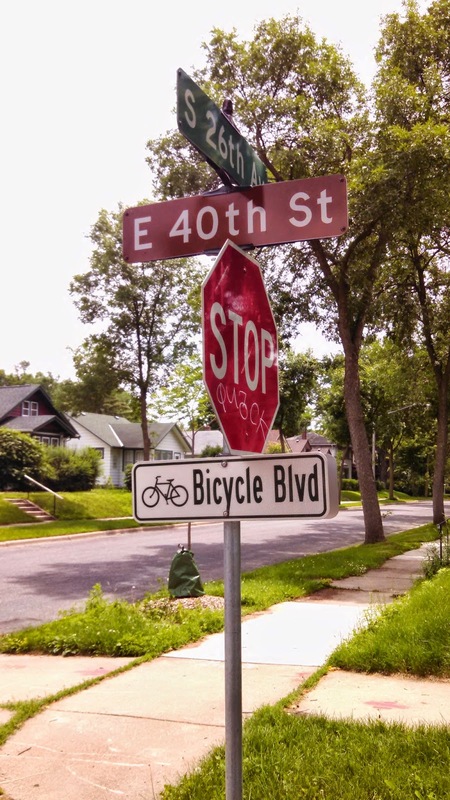 A simple sign designating the street as a bicycle boulevard caught my attention as I was riding through the neighborhood. 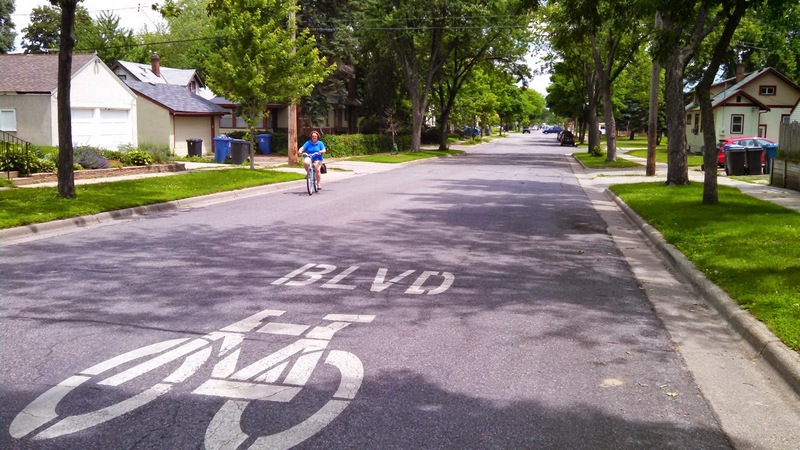 The super wide sharrows are hard to miss when you are on the street. The woman pedaling the opposite direction was in her 50s and reminded me of my Mother in Law who recently got a bike for fitness. Traffic signal modified as a right out only for vehicles. Even more restrictive than Portland's first generation signals on SE 39th - Cesar Chavez Blvd. Invariably, I pushed the button, but there was a long wait. So, the sign was directing a "wait" and I have to imagine that few people wait the entire time, the conflicting traffic was very low. A low cost signal without any mast arms over the arterial street. 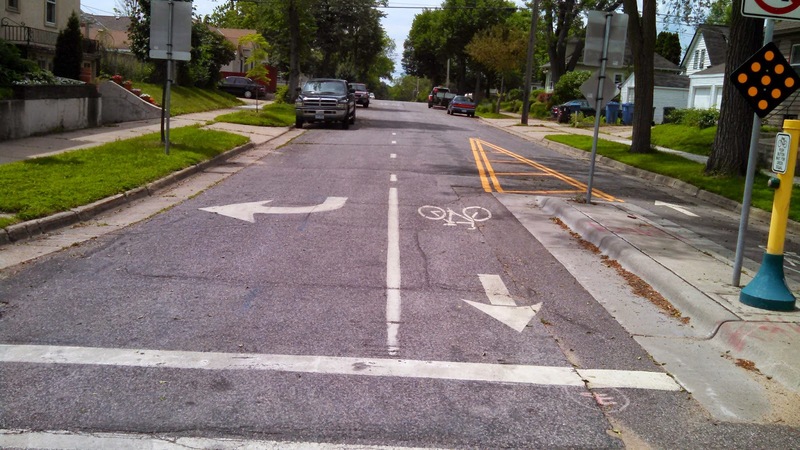 Cut throughs for pedestrians and bicycles alike. 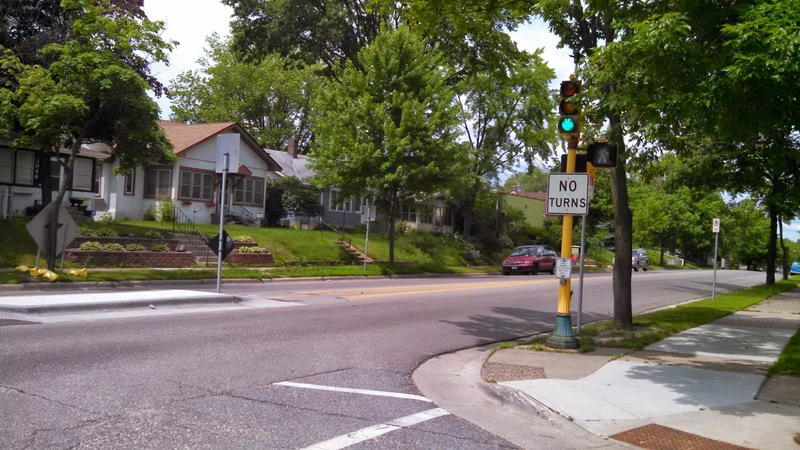 No turns signs at the intersection. 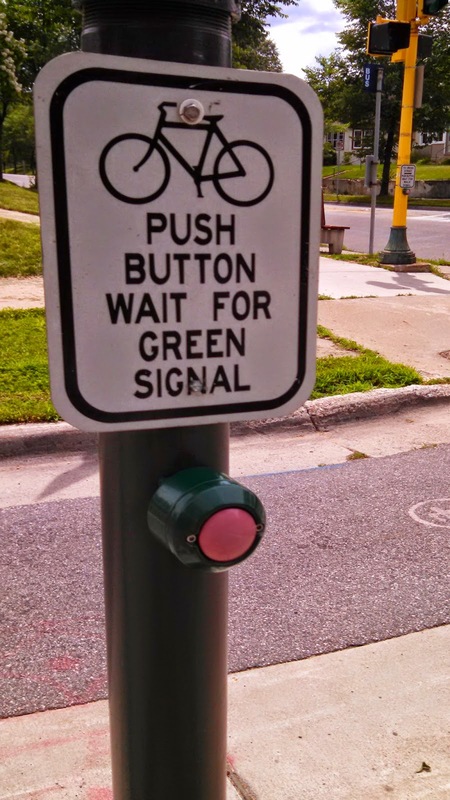 One more look at the bicycle movement approaching the traffic signal complete with left hand side push button. 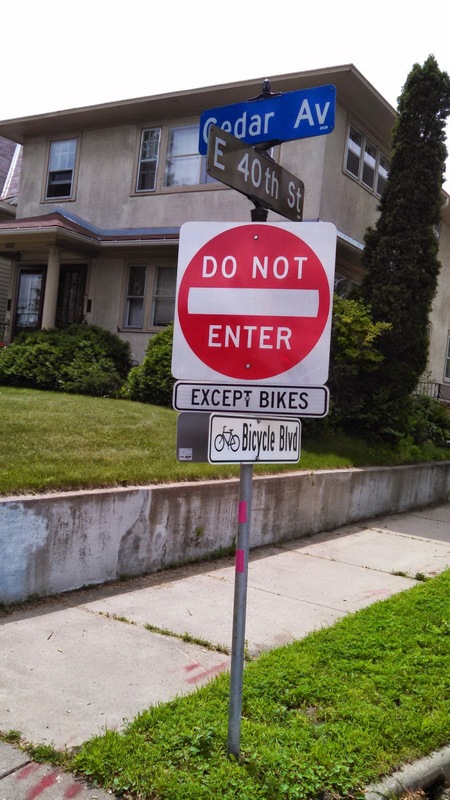 There were some signed restrictions as well at intersections. 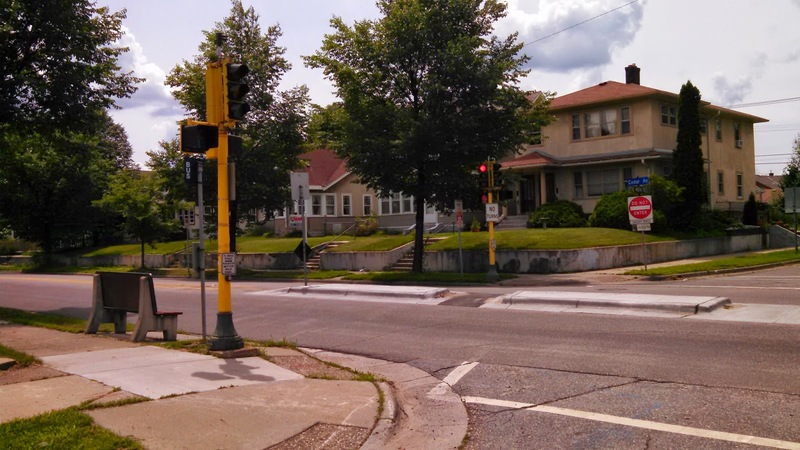 And finally a yield control signed at a traffic circle. 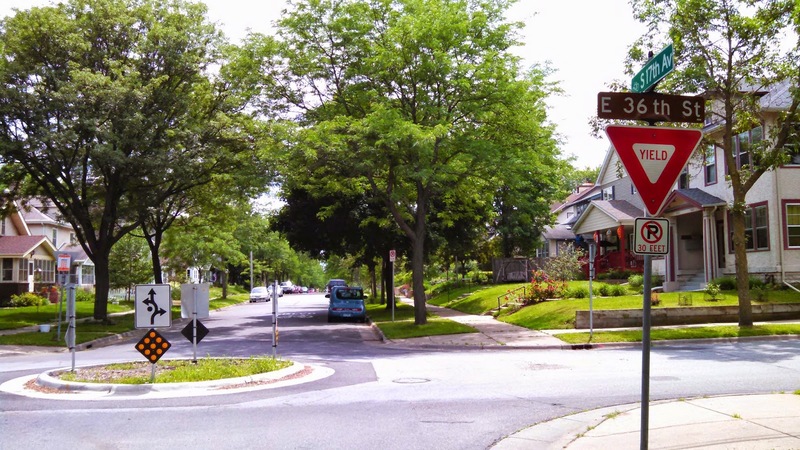 There were yield sign on all appoaches, which makes this a roundabout?